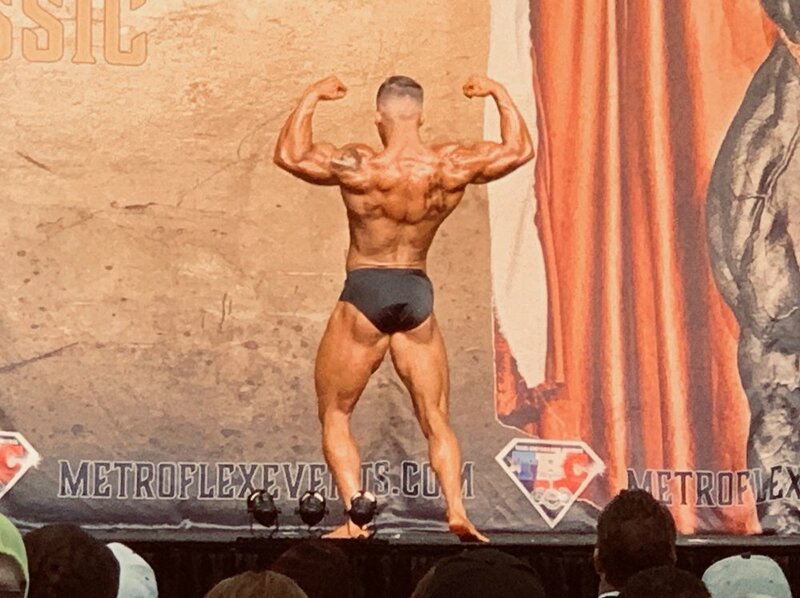 Congratulations to our martial arts instructor, Mr. Brian Garcia, on his great performance at the Ronnie Coleman Classic bodybuilding competition at Fort Worth Convention Center on Saturday, April 6. Mr. Garcia placed 1st in the Open Classic Physique division and 2nd in the Novice Classic Physique division. With this win he is now nationally qualified in the National Physique Committee! His next bodybuilding competition will be for professional qualification. He competed against men from all over the United States who converged on the Convention Center to show off their ultimate physique. This was a tough competition. As a 4th Degree Senior Black Belt, Mr. Garcia used his martial arts discipline and perseverance to go through his difficult, rigorous training routine, posing practice and eating habits for past several months. As parents we strive for our children to develop high level of discipline and goal setting. Mr. Garcia is a great example of these habits and he shares his fitness and martial arts passion with our students on daily basis. If you would like more information about our Martial Arts Program don’t hesitate to call us or text at 469-444-0246. Or get your child started today with our free trial.